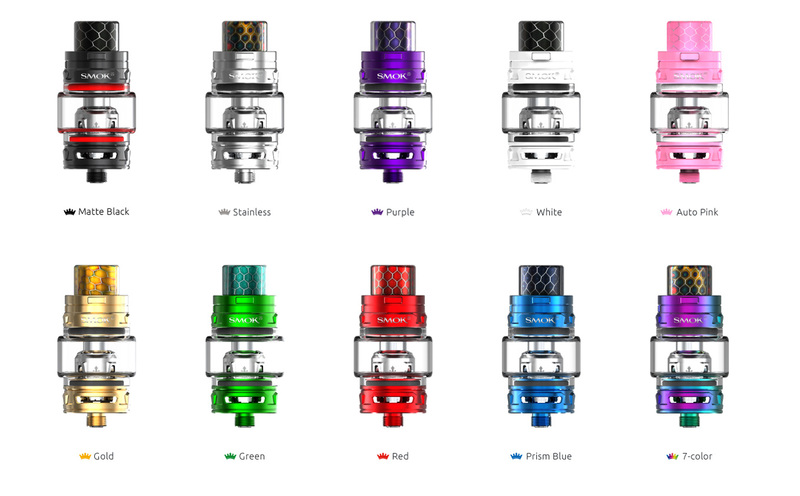 Smok TFV12 Baby Prince tank is the upgraded version of TFV8 baby beast tank. 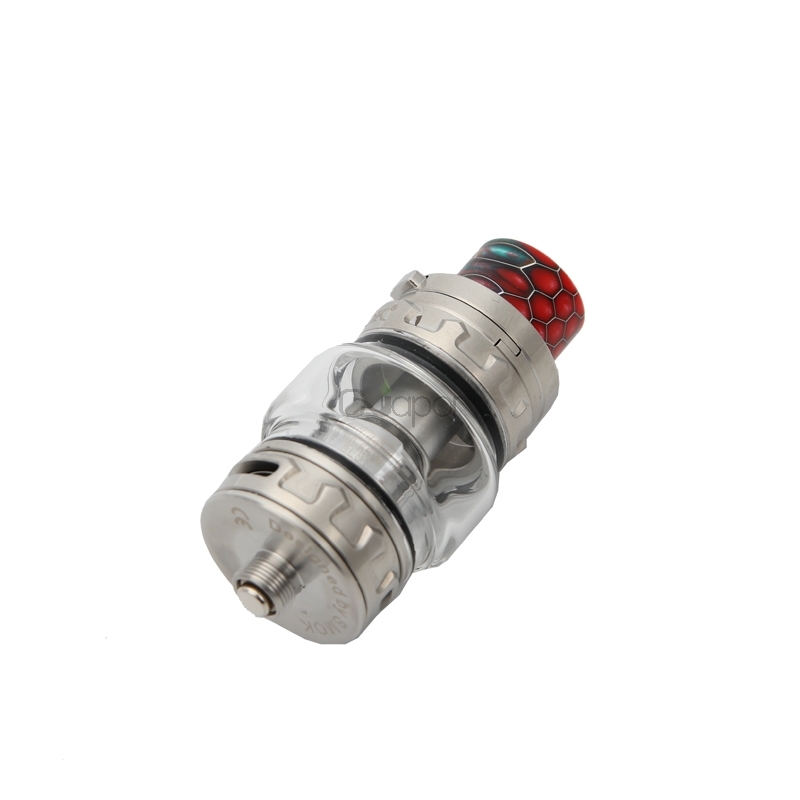 It employs Cobra drip tip which has wild outlook and special tactility and it will bring you increased airflow. 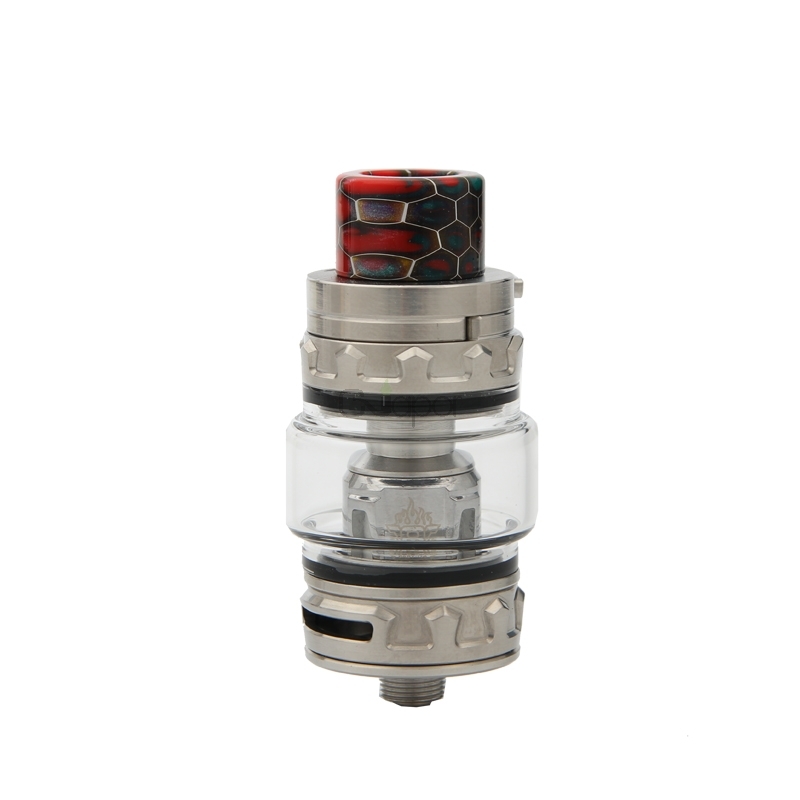 This tank comes with a bulb glass tube that can hold 4.5ml liquid. 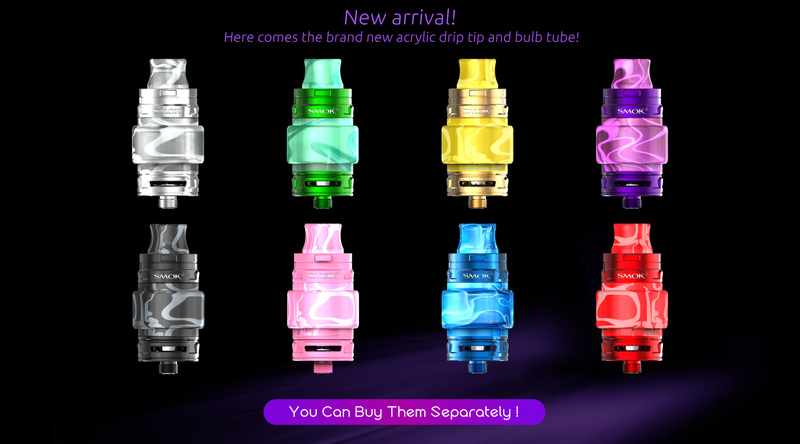 It also compatible with a acrylic drip tip and acrylic bulb tube(sell separately). The high quality acrytic ensures non-toxic and high temperature resistance. 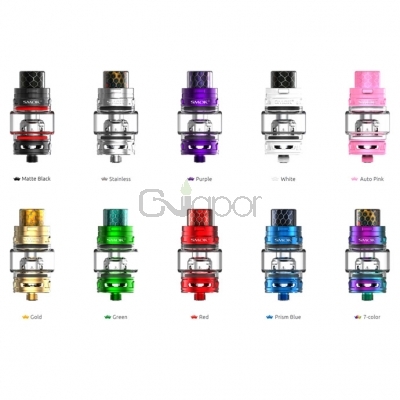 There is a patented locking mechanism on the top cap, it can effectively avoid accidently opening of top cap and leaking of e-juice. 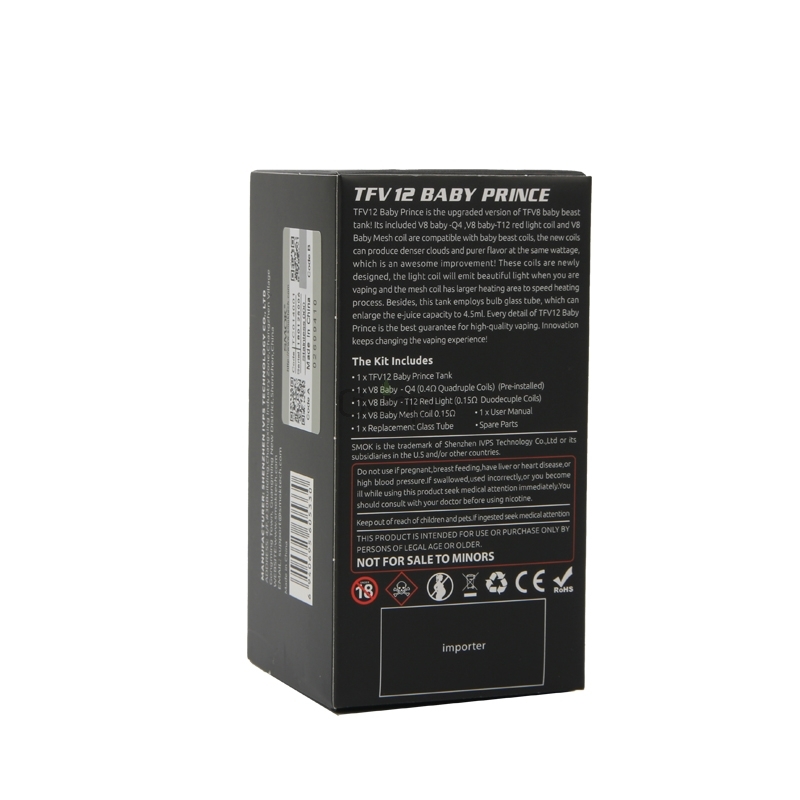 TFV12 Baby Prince tank also apply with newly designed light coils, you can see beautiful light emit from it when you are vaping. his is actually my first RDA and I couldn't be happier with it. I can't compare it to other RDAs, but it's easy to build on, actually does have a nice well, doesn't leak, and has great airflow.